The Dark Ranger: (UPDATED) BUH BYE!!!! COACH RENNEY AXED! (and Perry 'Power Play' Pearn): John Tortorella Will Be The New Coach! (UPDATED) BUH BYE!!!! COACH RENNEY AXED! 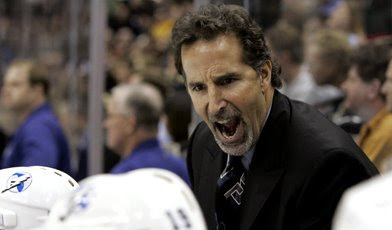 (and Perry 'Power Play' Pearn): John Tortorella Will Be The New Coach! Coach Tom Renney has been fired! 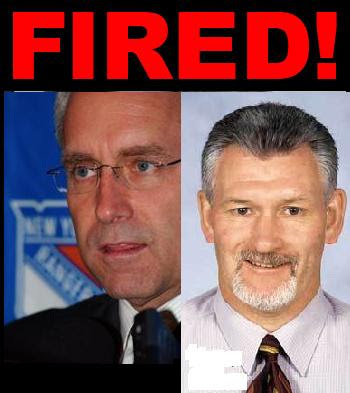 Special teams coach Perry Pearn has been fired as well! It has happened. There is no going back! UPDATE: John Tortorella will be the new replacement coach! Go here for more information. Damn I actually got all teary eyed. Now I know how Mandela felt when he was freed. I kinda felt this was coming with a longer than a day break it was the perfect opportunity for someone like Schoeny to step in and get an extra a$$-chewing session with the current team. NO MORE BITCHING FOLKS!!!! THIS IS WHAT WE'VE BEEN ASKING FOR. We'll see how Slats manages this ordeal and how he keeps his job. Kind of feel bad for the guy. Dark, You hit it on the nose, all out of excuses now. Players and Fans alike. If it's Tortorella as the next coach, wait until the Players get a load of him. I think Torts would be the right guy. He definitely wouldn't allow Wade Redden to continue to be in the lineup. You think its a good idea for the Rangers to hire Torts TDR? Mike Keenan reincarnate. Kotsy's right! He is the opposite of the 'player's coach' - a management and businessman who knows hockey! Wade Redden should be very scared of what sitting on the bench does for your game! It's all very sad and exciting. Thank GOD I am not an NHL coach -- who would want such a job. ...ryan...YES! Even if they continue to lose games in the short-term, he will be honest with them and especially the media. When was the last time Renney said something awful about his team to the media? Torts will motivate his players through the media if necessary. The New York Rangers sat on a wall. The New York Rangers had a great fall. Couldn't make this team better again! Say good bye to this season and start selling the big and inflated contracts. Sean Avery was right! 1) Sather deserves MUCH more of the blame here. Not sure why he's getting a pass. What have the Rangers won since he got there? 2) Those contracts for Redden/Drury/Gomez, etc are/will continue to be anchors around the necks of this team for some time to come regardless who is behind the bench! 1) Dark: Tortorella's motivation tactics might help some initially, but those kind of strong armed(Keenan) tactics have a limited shelf life and don't work as well on vets (especially ones with guaranteed long term deals) and could hurt the psyche's of younger players. faux...TRUE...., but as a Rangers fan...it will be worth every cent to see Wade Redden sitting in the short term. The Dolans may need to pay him out and try and forget. 'Nice guy" and "player friendly" coaching methods haven't worked for this team, so....unfortunately in the NHL coaching world -- fire the coach and do the opposite. Having Tortarella work with the youth may not be a bad thing. Remember there are a lot of players on the team under 26 so a taskmaster may get them focused (hello, #13) more than what was going on with the former coaches. Prucha, Dawes and Voros routinely sat while others never paid the price for simply sucking. Just the thought that there will be no more line juggling and a true power play unit may be assembled is cause for rejoicing. 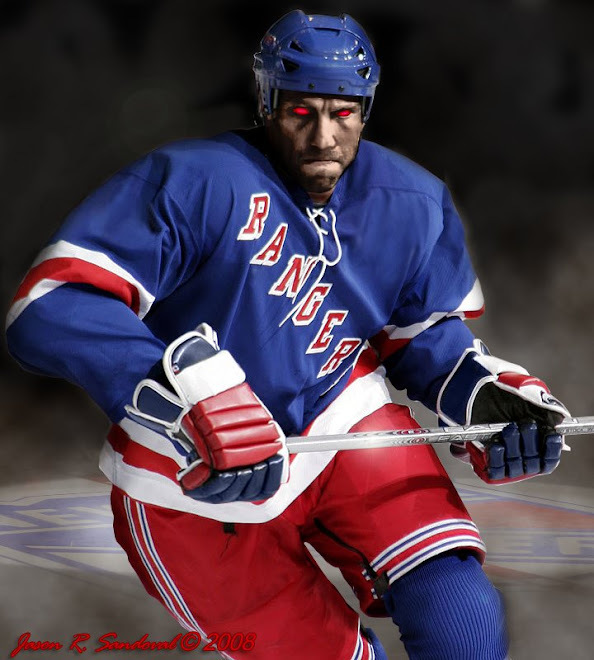 Players will now be playing for their Ranger and perhaps their NHL careers. The most important distinction is that the players might fear (or hate) him but they cannot play afraid. Signed a very Happy Leafs Fan!! team 990 was playing clips this morning, Brookes vs. Torts... Torts won!! It was quite funny! Of course the Habs fans are liking this distraction from all their drama! I'm excited to see the turn around, they ended Oct. 10-3 and now in Feb they are 2-8, hopefully they go up from here! Let's Go Rangers!